Ever been to a museum completely underground? 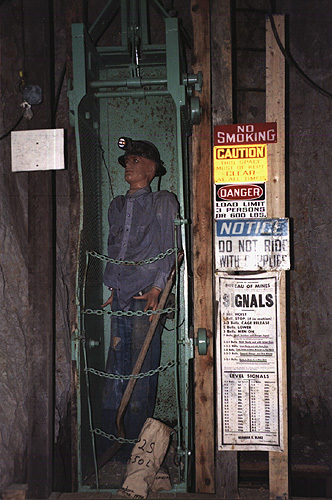 Well, the Underground Mining Museum in Creede, Colorado is completely underground (hence the name). This museum was blasted out of solid rock to give visitors the actual feeling of what it was like to mine underground. The Museum is open year round but the hours vary from summer to winter. The summer hours (May 24-September 13) are from 10 am to 4 pm daily and the winter hours (September 14 to May 23) are Monday-Friday from 10 am to 3 pm. There is a self guided audio tour that talks about each display and this is available year round. In the summer the last audio tour starts at 2:30 pm, so plan to be there before then or you will miss all the tours for that day. This is a great way to take your time and also allows you to repeat information if you would like. During the summer they offer guided tours at 10 am and 3 pm, but these require reservations. If you would like a guided tour or to find out this year’s prices, please call (719) 658-0811. When you arrive you should take the time to observe the outside as it does not resemble your ordinary museum. Also, don’t forget to bring your coat as you tour the Underground Mining Museum because it can get rather chilly. Once inside you will find 22 different displays which have been recreated to show the mining tools and methods that were used. One of the displays you can expect to see is a Blacksmith shop which is where the mining tools were made. You will learn the difference between ‘foot walls’ and ‘hanging walls’ as well as what ‘shrink stope' is. There is also a ‘hoist’ which is similar to an elevator as it moves miners or supplies up and down. 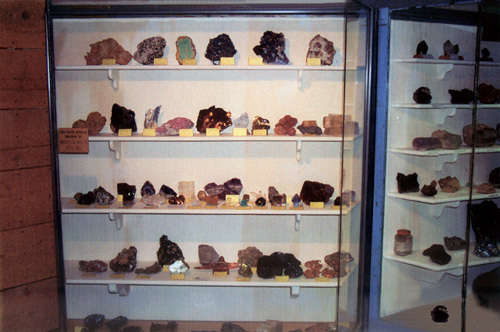 The Underground Mining Museum also has a large collection of minerals and artifacts on display from around the United States. 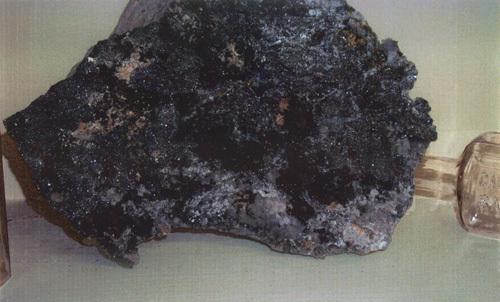 There is a great sample of silver ore which is what Creede was originally mined for. After your tour, take time to look around the gift shop for an artifact you can take home. As you are already on the north end of town a short drive up Bachelor Loop will show you the remains of several old mines which will complete the mining experience. 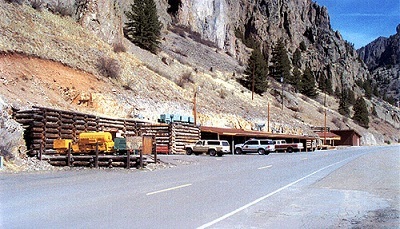 The Creede Community Center is also found underground as it adjoins the Underground Mining Museum. 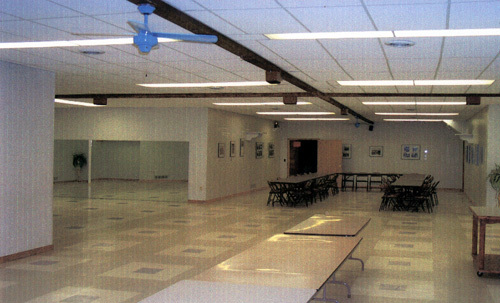 The Community Center holds several annual events as it is a large area which can hold over 300 people. There is also a full kitchen, restrooms, and audio/video equipment which makes it the perfect place for a family reunion or wedding. Every Monday night during the summer you can join the locals and play Bingo. Some of the annual events held in the community center include the Woodcarver’s Rendezvous which is usually held in July, Creede Rock and Mineral Show which is the first weekend in August, and a Christmas Tree Walk. So take the time to go play bingo and relax. I guarantee you won’t feel like you are underground when you visit the Creede Community Center.